Wow! This book was really, really good. 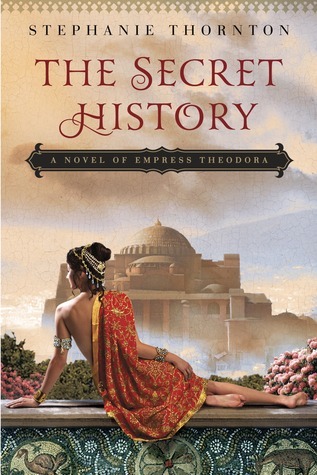 Empress Theodora is an absolutely amazing historical figure and this book really brought her to life. She went from being a prostitute to an actress to an empress to Justinian I, an emperor of the Roman Empire. Impressive leap, no? Just her basic story alone is really gripping. 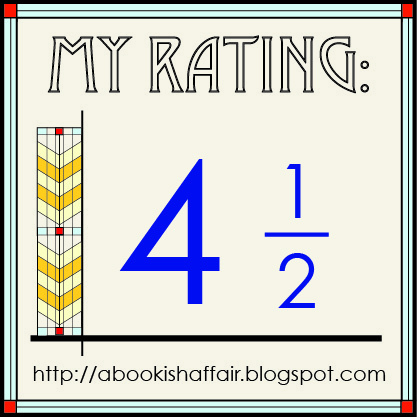 Debut author, Stephanie Thornton takes the story and turns it into something really special. Theodora is such a good character. The book is told from her point of view so we really get to see what she goes through and what her life was like. We get to see from her very humble beginnings through her rise to empress and beyond. Even though she has a truly amazing story, she still feels really accessible and like someone you might want to know. I haven't read a lot of historical fiction set in ancient times. I absolutely loved being able to see what life must have been like during the Roman Empire. Thornton really makes the setting come to life. You can see the dirtiness and grime of Theodora's early life and you can feel the sheer opulence of her latter life. The description of this book is incredibly rich. 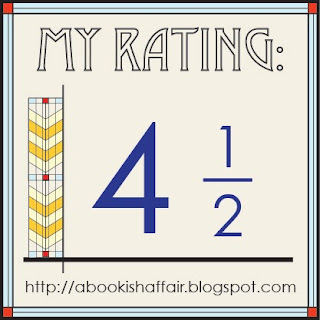 There are so many parts of the book that I wanted to savor just a little bit longer. This book is truly a treat, both for the historical fiction lover but armchair travelers who want their reading to be a whole body experience. I loved this book and I want more. I will be eagerly awaiting Thornton's future releases. I'm excited to be able to give away a copy of this fantastic book and a Byzantine coin! Open internationally! This book sounds really good! I have always thought that Theodora is such a fascinating historical figure. I am definitely going to be adding this to my TBR pile. Sounds so interesting; I added it to my wish list the first time I saw a review. Would love to win it. I've read several good reviews of this and now yours and I'd love to read it. Thanks for the chance to win. I am very excited to read this book. I love books set in ancient times. Wow! Your review makes me want to get this book even more. Thanks. I am looking forward to this book as I am a fan of historical fiction. All the reviews I've read for this novel have been positive. I'm looking forward to reading it! I've read so many good reviews of this one. It looks like a nice break from European royalty hist-fic! The review is so positive that I am definitely intrigued plus I do like to see strong women from history highlighted. I'd definitely like to read this as I'm intrigued by the book. Great reviews for a first-time author. I'd love to read it, thanks. Thanks for the great review. It certainly piqued my interest to read The Secret History. I have added it to my TBR list. I have organized a virtual tour for our college students but getting many difficulties in it. Please help me out to manage these virtual tours. This one is on my to-read list. Theodora is such an intriguing character, and I've not read much about her! Thanks for the chance to win! Empress Theodora sounds fascinating! I can't wait to read about her journey.